Winners Sports Nutrition are proud to be the Official Energy Bar & Gel of Bathurst Cycling Classic 2019. Winners energy products have been developed specifically for cyclists and are used and recommended by cycling champion Cadel Evans. Winners have created a special Bathurst Cycling Classic Nutrition Pack containing a selection of great tasting energy products, perfect for riders looking to ensure they are well fuelled during training and the ride. Winners are offering a 10% discount from winnersbars.com for all riders participating in Bathurst Cycling Classic 2019. How to approach nutrition for Bathurst Cycling Classic? 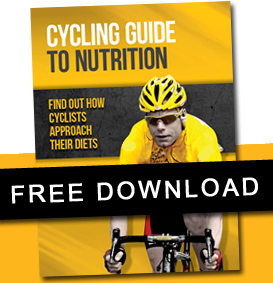 • Begin to trial different food options and incorporate nutrition into your training ride. • Practice opening, storing products and eating whilst on the bike. • Taper training and increase carbohydrate intake in the lead up to the event. • Eat and drink consistently from the start of the ride to reduce fatigue. Aim to consume 30-60g of carbohydrates per hour of the ride.